I wasn’t too sure about how this recipe would work out – I thought it could go either way, awesome or disgusting. Luckily, they were awesome, and actually pretty cheap and flexible (in terms of ingredients) to make. I was really imporessed and will definitely be making these again – they are great for running, tree-planting, hiking, or even a quick breakfast. Yum! Directions: In a food processor, mix beans, peanut butter, honey, applesauce, and salt. Pulse until smooth. Add oats, whole wheat flour, and cocoa and pulse until smooth. Finally add in the chocolate chips and pulse to combine. Grease a 13×9 inch pan and put in 350° for 15-18 minutes. Once cooked (toothpick comes out clean), let cool, then cut into 2 inch cubes. Enjoy! 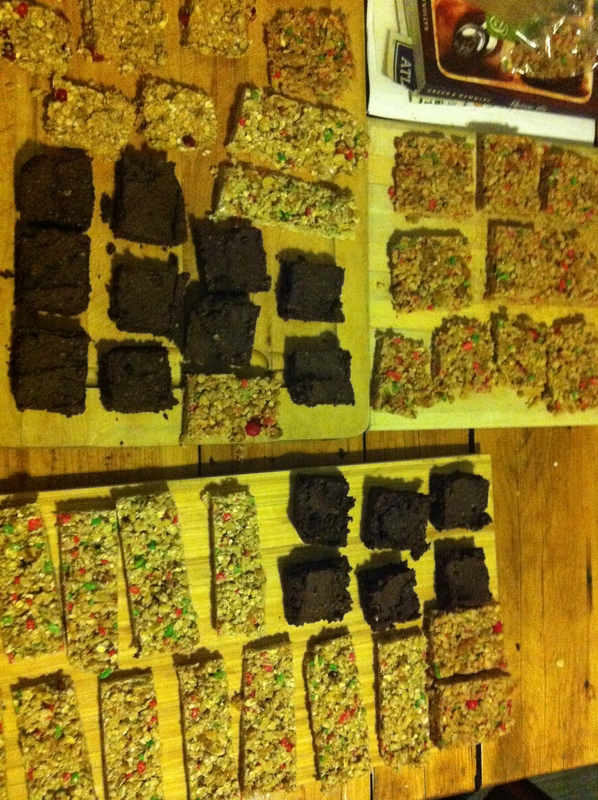 This entry was posted in marathon training, running, Ultra marathon training and tagged energy, Gambia, home made power bars, running, training. Bookmark the permalink.